brain tumours for breakfast: Oh Logik, up yours! A bout of pop outfits have, of late, suggested that all you need to do is impersonate Kate Bush*, dress like a redundant cast member of The Muppet Show or flaunt your bi-curiosity to be considered an inventive, inspiring female performer, as distinctive vocal aptitude appears to be becoming less applicable. I am without doubt that visual spectacle is an imperative and often enriching element of any performance, but it’s even more effective when coupled with true musical flair. What’s in a name? 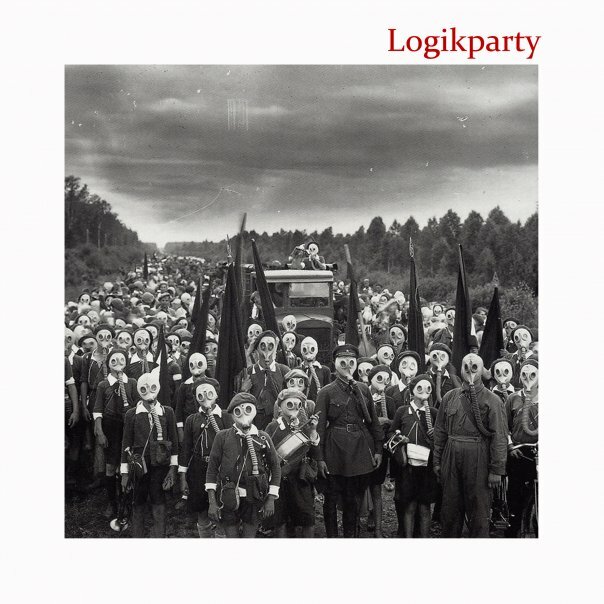 Before even listening to Logikparty they conjured notions of the kind of deadening minimalistic techno whose torture, upon listening, feels eternal. How wrong I was. Preconceptions- 1, Pee- 0. They are noir, barbed, caustic; gritty incantations that pervade your person and hold you in their glorious, gloomy thrall. One of the most exciting components of the band are frontwoman Benni’s vocals, which serve as a model of how to harness the power that can be generated by an innovative female voice. She has the grit of Brody Dalle, the piercing shrieks of Kathleen Hanna and the delightfully discordant drone of Poly Styrene down to a fine art, and set against a persuasive fusion of gothic rock and ’70 post punk. On “Iodine”, she sings, “I think I’m evolving back in time”; particularly appropriate lyrics as Logikparty bring to mind the austere pull of Bauhaus, the Birthday Party’s coarse, crashing melody, and the raw power of Siouxsie and the Banshees circa “The Scream”. They’re a band that harvest songs out of clattering rhythms, and uncompromisingly crotchety guitars. “Good Hood” is a swell of harsh, jarring riffs and a meandering guitar line that contains traces of purist psychobilly, which breaks down into brusque, chunky bursts of melody and gang vocals**, whilst the aforementioned “Iodine” is driven by Benni’s brilliant vocal quirks and serrated yelps, all of which are complemented by equally jagged instrumentation and a galloping pulse of a bass line. 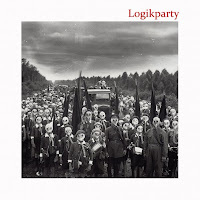 If there’s no No Wave, then there’s no fun, but thankfully Logikparty embody both in abundance. Myspace and Rough Trade! It’s just too quaint. ** Why am I such a sucker for gang vocals? It’s almost as bad as my obsession with vocoders. *** I pine for a Myspace revolution so hard. I miss wasting hours of my adolescent life re-decorating my profile. best release from ireland in a long time.